For room cooling and heating in commercial and industrial buildings. High cooling capacities; with fresh air supply to enhance the indoor air quality. The secondary air is taken directly from the occupied zone. The supply air is discharged on two sides. 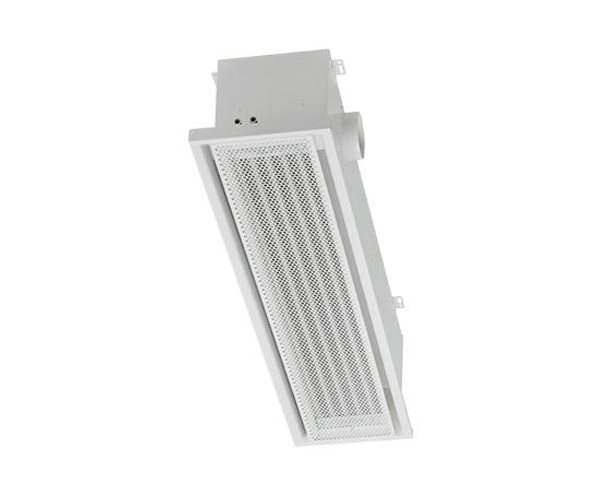 This chilled beam is designed for integration into any type of suspended ceiling. It can also be freely suspended, but then it requires so-called wings for stabilizing the air jets.